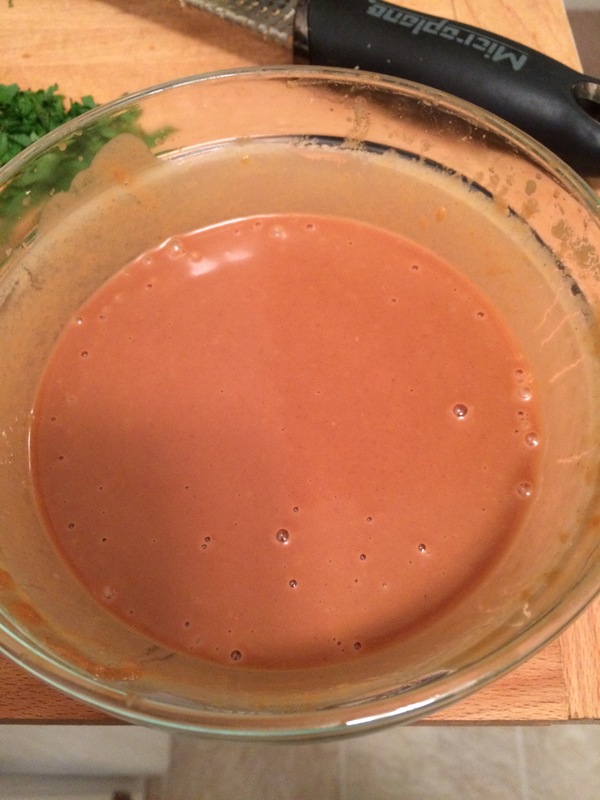 I am more than a little obsessed with thai peanut sauce. I use it as salad dressing (thinned out with extra vinegar), on satay and stir fry, as veggie dip, over noodles, really anything I can think of. The blessing and curse of this sauce is that it is so simple, there is nothing keeping me from making it all the time! 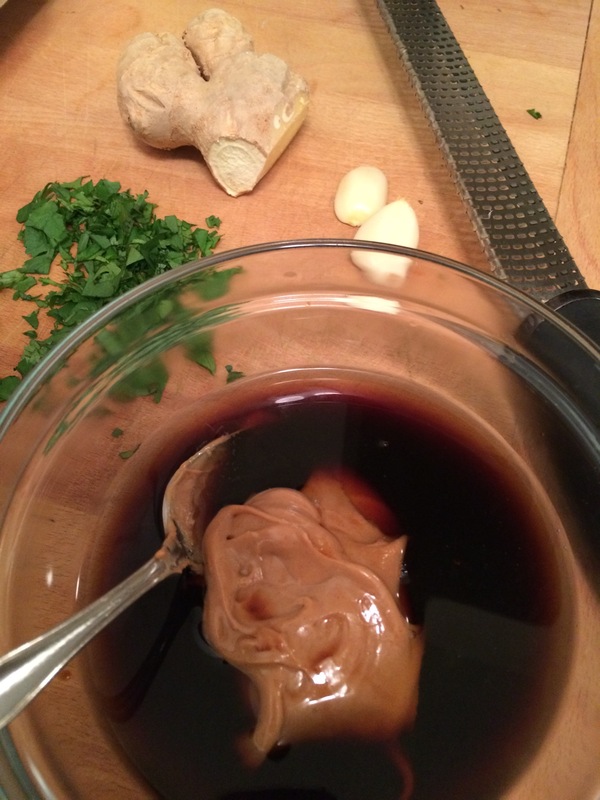 This sauce gets a bite from the fresh ginger and garlic, a tang from the vinegar, and a lovely richness from the peanut butter. You can add spicy peppers but honestly, I like better it without. Cilantro to garnish Two notes: 1 – I use my micro plane to grate the ginger and garlic to make a smoother sauce and 2 – I keep my ginger frozen so it grates easier. Mix everything but the cilantro together with a whisk till smooth and it is ready to serve! 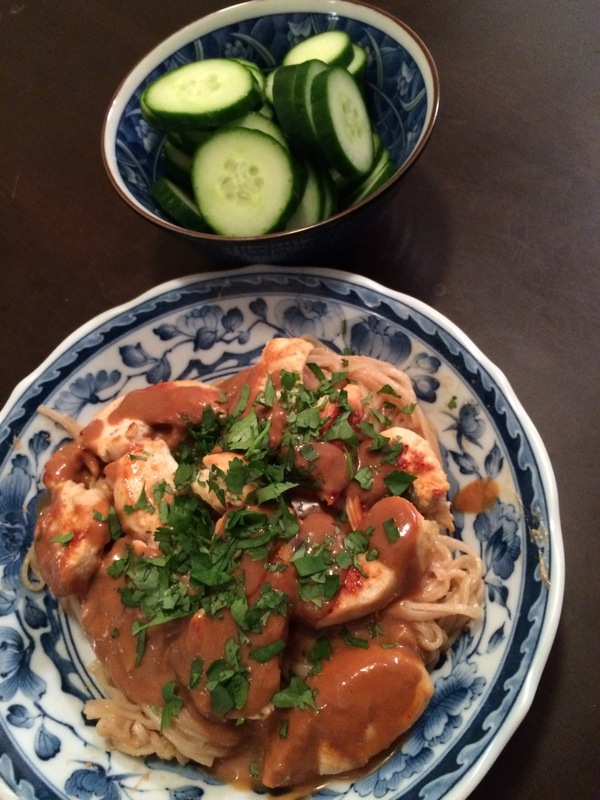 This weekend I tossed rice noodles and lime chicken with the peanut sauce, garnished with the cilantro, and served with cucumber. A quick and easy meal you can customize to your taste. I do love throwing sautéed vegetables in there too. Combine all ingredients together and let sit for 20 minutes. 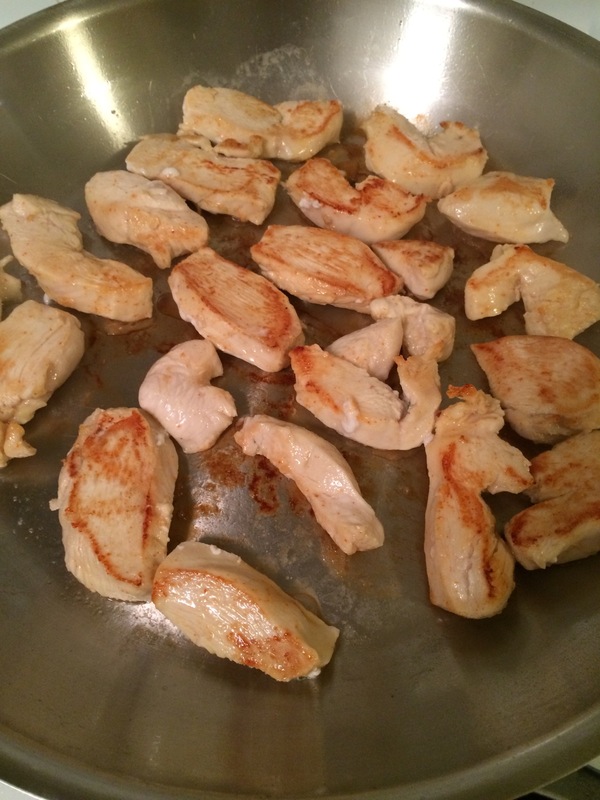 In a hot frying pan, sear the chicken till browned on the outside and cooked all the way through. About 5 minutes a side. This alone can be served with the peanut sauce over veggies, rice, noodles, or alone as an appetizer!